At Byrd Eye Clinic, we offer state-of-the-art care for cataracts, regardless of their type. This includes traumatic cataracts, cataracts caused as a result of trauma to the eye or face. Traumatic cataracts can occur immediately after an eye injury or, in some cases, months or even years later. While cataracts that result from trauma can present unique challenges compared to age-related cataracts, skilled and experienced eye surgeons such as Dr. Thomas Byrd are able to rise to these challenges and restore clarity to the vision of patients suffering from traumatic cataracts. In discussing the issue of cataracts and eye trauma during consultations at his Detroit, MI eye care center, Dr. Byrd explains all of the options available to patients. Patients with traumatic cataracts have the opportunity to benefit from state-of-the-art laser cataract surgery followed by the placement of a premium, multi-focal intraocular lens (IOL) if they so desire. Such patients often find their cataracts to be blessings in disguise in retrospect, as many emerge from cataract surgery with better unaided vision than they had experienced in years, if not decades. If you have traumatic cataracts, we urge you to schedule your initial consultation with Dr. Thomas Byrd at Byrd Eye Clinic today. How Do Traumatic Cataracts Occur? There are four basic types of trauma that can result in the development of a cataract. It is important to note that eye trauma can also result in other problems with the eye. 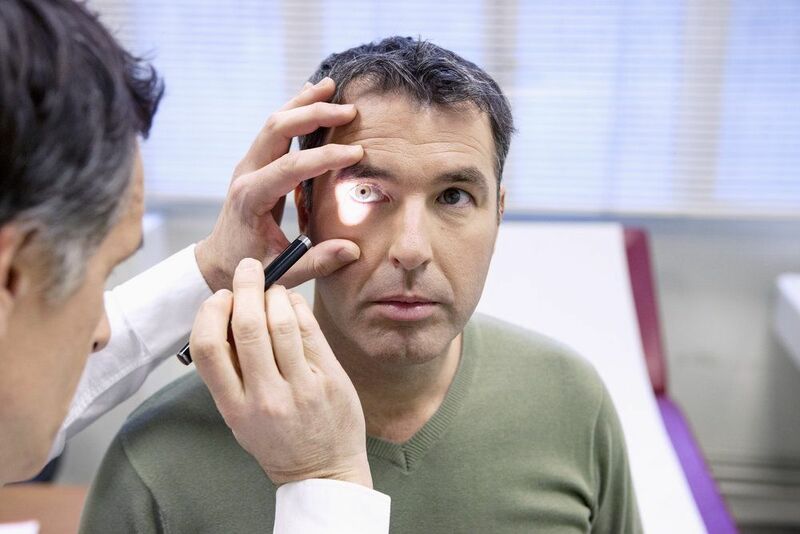 If you have suffered any of the following forms of trauma, it is vital that you schedule a professional eye evaluation immediately, even if you are not experiencing any obvious symptoms of damage. Blunt trauma: This type of trauma occurs when an object collides with, but does not penetrate, the eye or face with extreme force. Common examples of blunt trauma include a punch to the eye, being struck in the eye with a ball, and falling to the ground face first. Damage to the lens can result in either an immediate cataract or a delayed cataract. Penetrating trauma: This type of trauma occurs when a sharp object, such as a piece of glass, the tip of a pencil, or a nail, penetrates the eye. If the object makes its way past the cornea to the lens, a traumatic cataract is to be expected at the very least. A full tear of the lens is also possible, along with injury to other parts of the eye. Chemical trauma: This type of trauma refers to the penetration of the eye by a chemical substance, resulting in a change in the composition of the lens fibers to cause a traumatic cataract. Radiation trauma: Radiation exposure, especially among children, can damage the lens and cause a traumatic cataract. Often, there is a long period between the exposure to radiation and the development of the cataract. To learn more about cataracts and eye trauma, please contact Byrd Eye Clinic today.